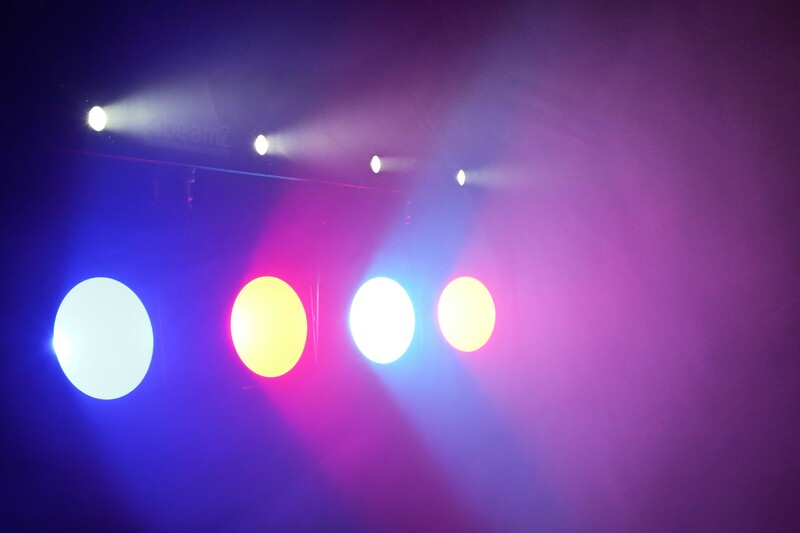 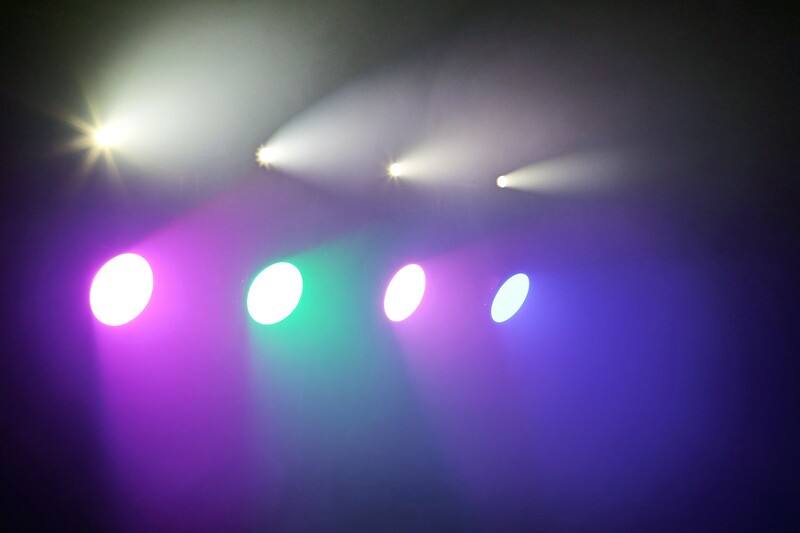 A kit of 4 COB parcans mounted on a DMX T-bar. 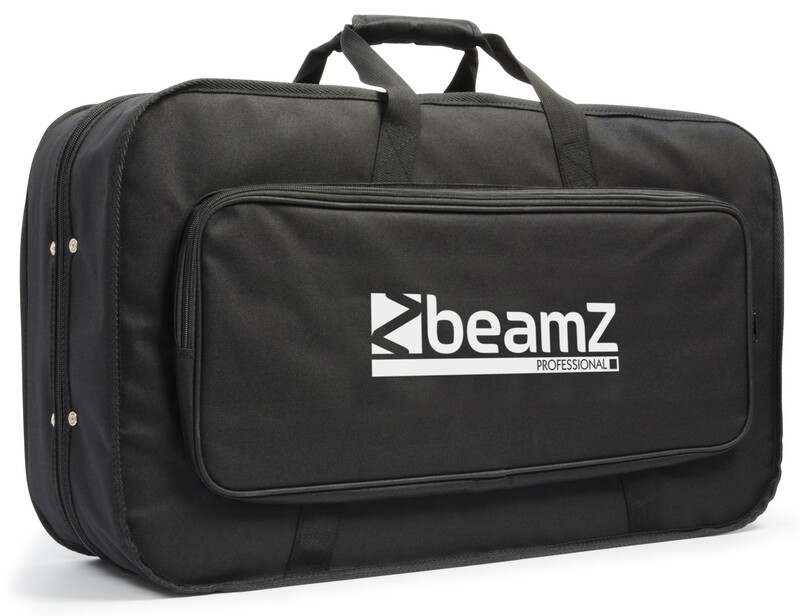 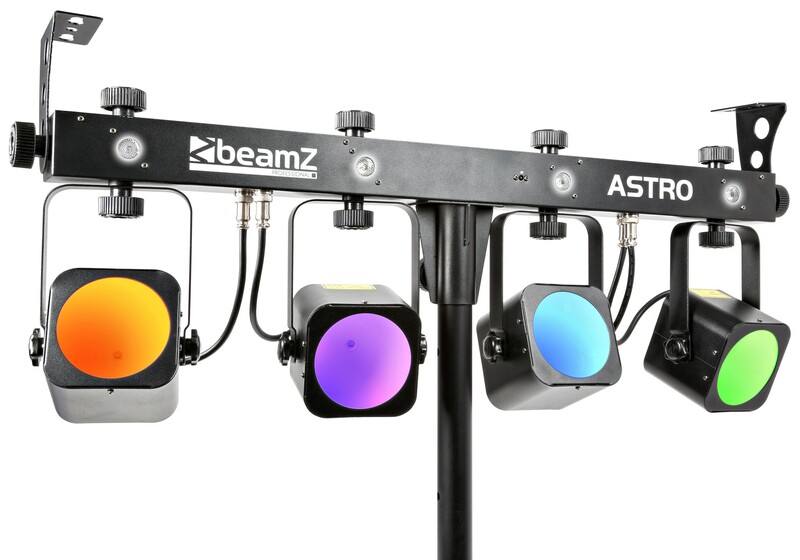 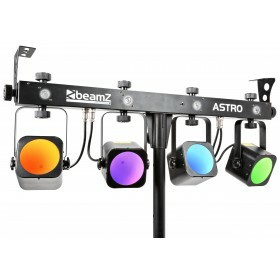 The T-bar has 4 built-in 1W high power white LEDs to create an amazing strobe effect. 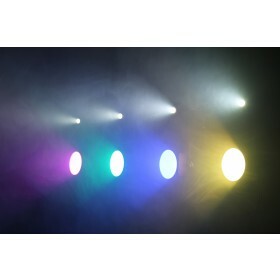 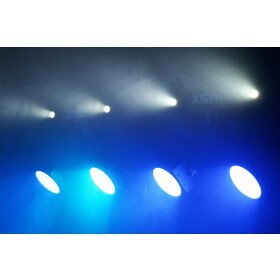 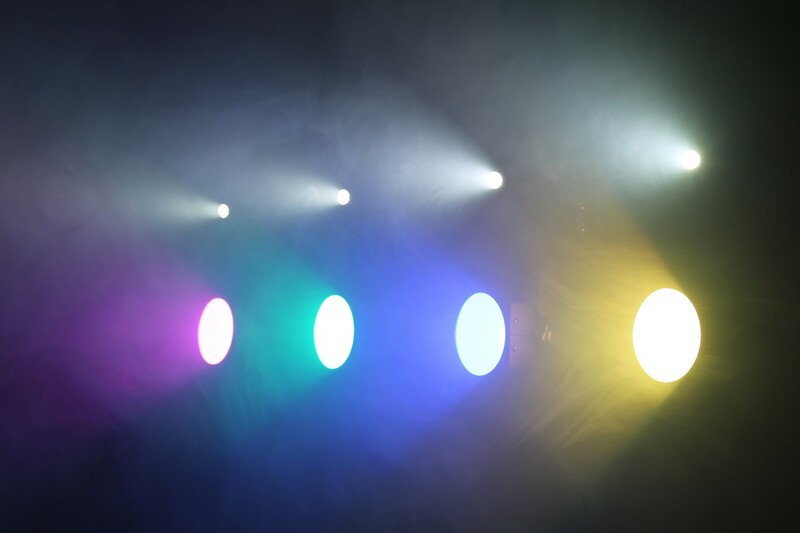 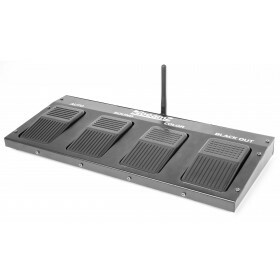 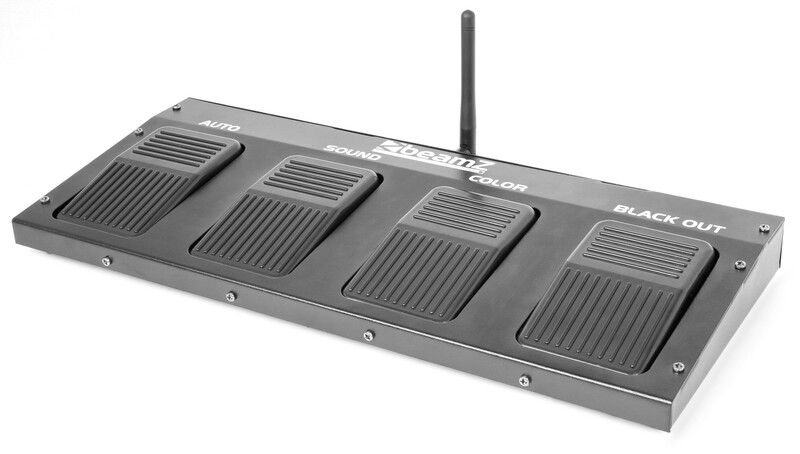 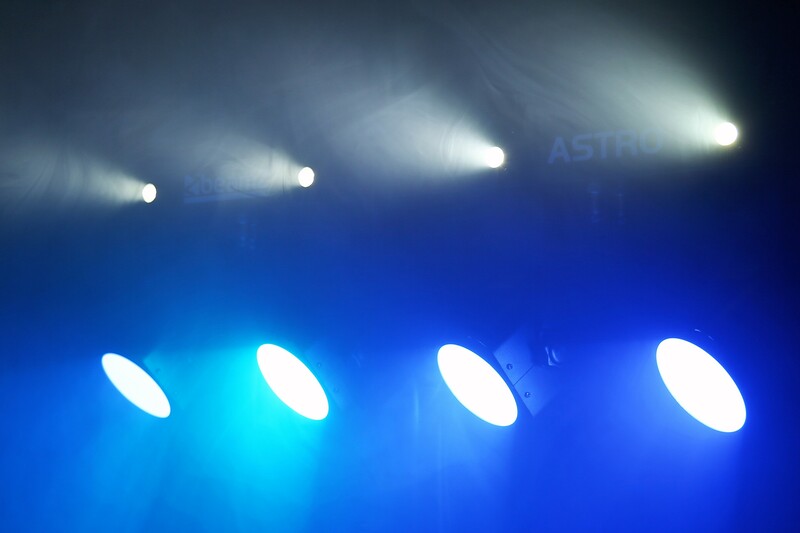 The T-bar can be controlled in a 4-channel easy DMX setting or in the 17-channel fully customizable setup. 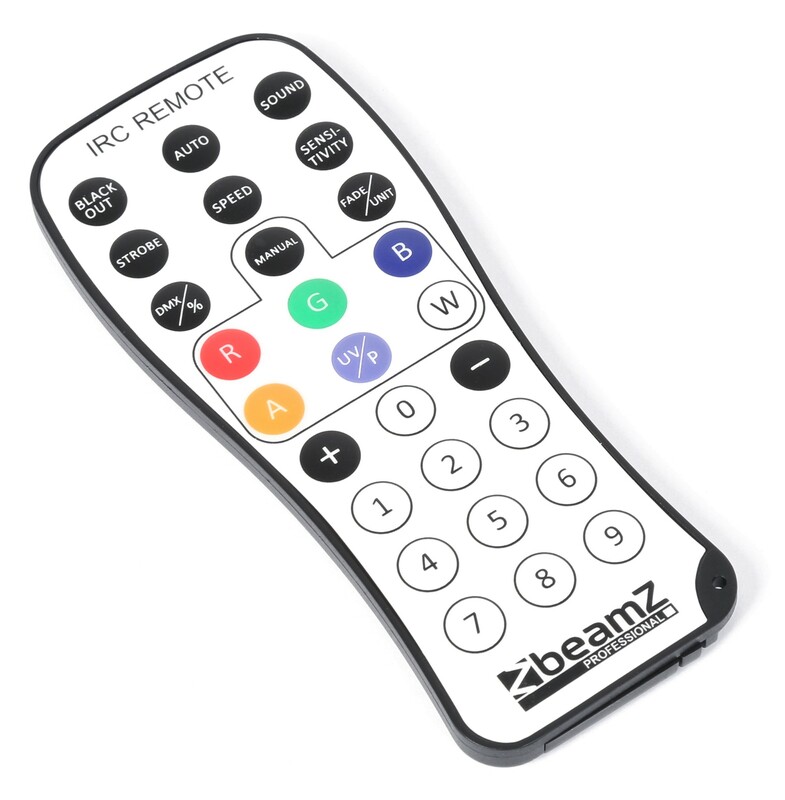 The T-bar is also equipped with an infrared sensor for user-friendly remote control usage or you can use the included wireless foot-controller to simply swap between automatic or sound controllable mode. 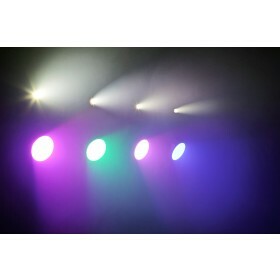 Link multiple units together by daisy chaining power and DMX. 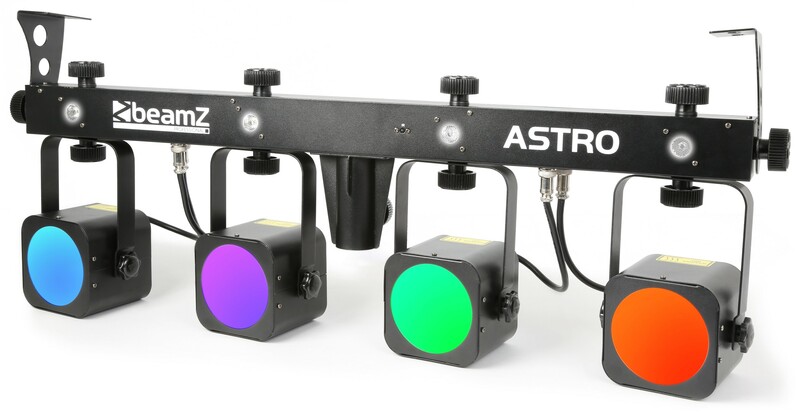 The Astro can be mounted on a 38mm stand or you can use the mounting brackets on both sides to either place the unit on the ground or mount it to the ceiling.